Natalie Maria Cole (February 6, 1950 – December 31, 2015) was an American singer, voice actress, songwriter, and actress. Cole was the daughter of American singer and jazz pianist Nat King Cole. She rose to success in the mid-1970s as an R&B singer with the hits "This Will Be", "Inseparable" (1975), and "Our Love" (1977). She returned as a pop singer on the 1987 album Everlasting and her cover of Bruce Springsteen's "Pink Cadillac". In the 1990s, she sang traditional pop by her father, resulting in her biggest success, Unforgettable... with Love, which sold over seven million copies and won her seven Grammy Awards. She sold over 30 million records worldwide. On December 31, 2015, Cole died at the age of 65 at Cedars-Sinai Medical Center in Los Angeles, California, due to congestive heart failure. Natalie Cole was born at Cedars of Lebanon Hospital in Los Angeles, to American singer and jazz pianist Nat King Cole and former Duke Ellington Orchestra singer Maria Hawkins Ellington, and raised in the affluent Hancock Park district of Los Angeles. Regarding her childhood, Cole referred to her family as "the black Kennedys" and was exposed to many great singers of jazz, soul and blues. At the age of 6, Natalie sang on her father's Christmas album : The Magic of Christmas and later started performing at age 11. Cole grew up with an older adopted sister, Carole "Cookie" Cole (1944–2009) (her mother Maria's younger sister's daughter), adopted brother Nat "Kelly" Cole (1959–95), and younger twin sisters Timolin and Casey (born 1961). Through her mother, Cole was a grandniece of educator Charlotte Hawkins Brown. Her paternal uncle Freddy Cole is a singer and pianist with numerous albums and awards. Cole enrolled in Northfield School for Girls, an elite New England preparatory school (since 1971 known as Northfield Mount Hermon School) before her father died of lung cancer in February 1965. Soon afterwards she began having a difficult relationship with her mother. She enrolled in the University of Massachusetts Amherst. She transferred briefly to University of Southern California where she pledged the Upsilon chapter of Delta Sigma Theta sorority. She later transferred back to the University of Massachusetts, where she majored in Child Psychology and minored in German, graduating in 1972. Cole grew up listening to a variety of music that included Aretha Franklin and Janis Joplin. After graduation in 1972 she began singing at small clubs with her band, Black Magic. Clubs initially welcomed her because she was Nat King Cole's daughter, only to be disappointed when she began singing cover versions of R&B and rock songs. With the assistance of Chuck Jackson and Marvin Yancey, a songwriting and producing duo, she recorded some songs in a studio in Chicago that was owned by Curtis Mayfield. Her demo tapes led to a contract with Capitol, resulting in the release of Cole's debut album, Inseparable, which included songs that reminded listeners of Aretha Franklin. Franklin later contended that songs such as "This Will Be", "I Can't Say No", and others were offered to her while she was recording the album You but she had turned them down. Released in 1975, the album became an instant success thanks to "This Will Be", which became a top ten hit and won her a Grammy Award for Best Female R&B Vocal Performance. A second single, "Inseparable", also became a hit. Both songs reached number-one on the R&B chart. Cole also won Best New Artist at the Grammy Awards for her accomplishments, making her the first African-American artist to attain that feat. The media's billing of Cole as the "new Aretha Franklin" started a rivalry between the two singers. The feud boiled over at the 1976 Grammy Awards when Cole beat Franklin in the Best Female R&B Vocal Performance category, a category which Franklin had won eight times before losing to Cole. Becoming an instant star, Cole responded to critics who predicted a sophomore slump with Natalie, released in 1976. The album, like Inseparable, became a gold success thanks to the funk-influenced cut "Sophisticated Lady" and the jazz-influenced "Mr. Melody". Cole released her first platinum record with her third release, Unpredictable, mainly thanks to the number-one R&B hit, "I've Got Love on My Mind". Originally an album track, the album's closer, "I'm Catching Hell", nonetheless became a popular Cole song during live concert shows. Later in 1977, Cole issued her fourth release and second platinum album, Thankful, which included another signature Cole hit, "Our Love". Cole was the first female artist to have two platinum albums in one year. To capitalize on her fame, Cole starred on her own TV special, which attracted such celebrities as Earth, Wind & Fire, and also appeared on the TV special, "Sinatra and Friends." In 1978, Cole released her first live album, Natalie Live! In early 1979, the singer was awarded a star on the Hollywood Walk of Fame. That same year, she released two more albums, I Love You So and the Peabo Bryson duet album, We're the Best of Friends. Both albums reached gold status in the U.S., reflecting her continuing popularity. Following the release of her eighth album, 1980's Don't Look Back, Cole's career began to take a detour. While Cole scored an adult contemporary hit with the soft rock ballad "Someone That I Used to Love" off the album, the album itself failed to go gold. In 1981, Cole's personal problems, including battles with drug addiction, began to attract public notice, and her career suffered as a result. In 1983, following the release of her album I'm Ready, released on Epic, Cole entered a rehab facility in Connecticut and stayed there for a period of six months. Following her release, she signed with the Atco imprint Modern Records and released Dangerous, which started a slow resurgence for Cole in terms of record sales and chart success. In 1987, she changed to EMI-Manhattan Records and released the album Everlasting, which returned her to the top of the charts thanks to singles such as "Jump Start (My Heart)", the top ten ballad, "I Live For Your Love", and her dance-pop cover of Bruce Springsteen's "Pink Cadillac". That success helped Everlasting reach one million in sales and become Cole's first platinum album in ten years. In 1989, she released her follow-up to Everlasting, Good to Be Back, which produced the number two hit "Miss You Like Crazy"; it also achieved international success, reaching the top ten in the United Kingdom. Cole released her best-selling album with 1991's Unforgettable... with Love on Elektra Records, which saw Cole singing songs her famous father recorded, nearly 20 years after she initially had refused to cover her father's songs during live concerts. Cole produced vocal arrangements for the songs, with piano accompaniment by her uncle Ike Cole. Cole's label released an interactive duet between Cole and her father on the title song, "Unforgettable". The song eventually reached number fourteen on the Billboard Hot 100 and number ten on the R&B chart, going gold. Unforgettable...with Love eventually sold more than 7 million copies in the U.S. alone and won several Grammys, including Album of the Year, Record of the Year and Best Traditional Pop Vocal Performance for the top song. Cole followed that success with another album of jazz standards, titled Take a Look, in 1993, which included her recording of the title track in the same styling that her idol Aretha Franklin had recorded nearly 30 years earlier. The album eventually went gold while a holiday album, Holly & Ivy, also became gold. Another standards release, Stardust, went platinum and featured another duet with her father on a modern version of "When I Fall in Love", which helped Cole earn another Grammy for Best Pop Collaboration with Vocals. In 1995, Cole was awarded an Honorary Doctorate of Music from the Berklee College of Music. In 1999, Cole returned to her 1980s-era urban contemporary recording style with the release of Snowfall on the Sahara on June and second holiday album The Magic of Christmas on October, which recorded with London Symphony Orchestra. A year later, the singer collaborated on the production of her biopic, Livin' for Love: The Natalie Cole Story with Theresa Randle playing Natalie Cole. She also released the compilation Greatest Hits, Vol. 1 to fulfill her contract with Elektra. She changed to Verve Records and released two albums. Ask a Woman Who Knows (2002) continued her jazz aspirations, while Leavin (2006) was an album of pop, rock, and R&B songs. Her version of "Daydreaming" by Aretha Franklin was a minor hit on the R&B chart. In 2008, seventeen years after Unforgettable... with Love, she released Still Unforgettable, which include songs made famous by her father and Frank Sinatra. In April 2012, she appeared on the Pennington Great Performers with the Baton Rouge Symphony Orchestra. Cole pursued a career in acting. She appeared several times in concerts or other music related programs, including the 1988 Nelson Mandela 70th Birthday Tribute with sidemen Richard Campbell, Jeffrey Worrell, Eddie Cole, and Dave Joyce. In 1990, she and Al Jarreau sang "Mr. President" on the television special Comic Relief special. After Johnny Mathis appeared on a special of Cole's in 1980, the two kept in contact, and in 1992 he invited her to be a part of his television special A Tribute to Nat Cole for the BBC in England. An album of the same name was released. In 1992, following the success of the Unforgettable: With Love album, PBS broadcast a special based on the album. Unforgettable, With Love: Natalie Cole Sings the Songs of Nat "King" Cole received an Emmy nomination for Outstanding Variety, Music or Comedy Program. Cole received a nomination for Outstanding Individual Performance but lost to Bette Midler. In 1993, she was among the guests of honor attending Wrestlemania IX at Caesar's Palace in Las Vegas. At the 65th Academy Awards she performed a medley of two Oscar-nominated songs: "Run to You" and "I Have Nothing", both performed by Whitney Houston in the film The Bodyguard. Cole made a number of dramatic appearances on television, including I'll Fly Away, Touched by an Angel, Law & Order: Special Victims Unit, and Grey's Anatomy. She had the lead role in the TV movie Lily in Winter. She appeared in the Cole Porter biopic De-Lovely. 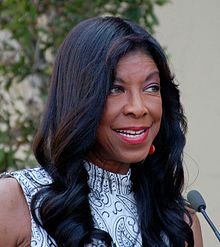 In 2001, she starred as herself in Livin' for Love: the Natalie Cole Story, for which she received the NAACP Image Award for Outstanding Actress in a Television Movie, Mini-Series or Dramatic Special. On the February 5, 2007, episode of Studio 60 on the Sunset Strip, Cole sang "I Say a Little Prayer" at a benefit dinner. She sang the national anthem with the Atlanta University Center Chorus at Super Bowl XXVIII. In 2013, she was a guest on Tina Sinatra's Father's Day Special on Sirius Radio. The program included Deana Martin, Monica Mancini, and Daisy Torme reminiscing about their famous fathers. Cole was married three times. She married Marvin Yancy, songwriter, producer, and former member of the 1970s R&B group The Independents on July 31, 1976. She had a son, Robert Adam "Robbie" Yancy (October 14, 1977 – August 14, 2017); he was a musician who toured with her. 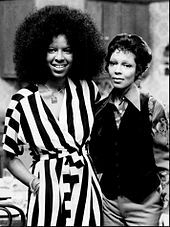 Marvin was her producer, and an ordained Baptist minister who helped reintroduce her to religion. Under his influence, Cole changed from a lapsed Episcopalian to become a devout Baptist. Cole and Yancy got divorced in 1980; Yancy died of a heart attack in 1985, aged 34. In 1989, Cole married record producer and former drummer for the band Rufus, Andre Fischer; they were divorced in 1995. In 2001, Cole married Bishop Kenneth Dupree; they divorced in 2004. In 2017, son Robbie died of a heart attack, aged 39. Cole was active in the Afghan World Foundation cause, supporting Sonia Nassery Cole (no relation). In 2000, Cole released an autobiography, Angel on My Shoulder, which described her battle with drugs during much of her life, including heroin and crack cocaine. At one stage as an addict, Cole worked as a prostitute's tout in order to fund her drug habit. Cole said she began recreational drug use while attending the University of Massachusetts Amherst. She was arrested in Toronto, Canada, for possession of heroin in 1975. Cole spiraled out of control – in this phase of her life there was an incident in which she refused to leave a burning building, and another in which her young son Robert nearly drowned in the family swimming pool while she was on a drug binge. She entered rehab in 1983. Her autobiography was released in conjunction with a made-for-TV movie, Livin' for Love: The Natalie Cole Story, which aired December 10, 2000 on NBC and re-aired October 26, 2011, on Centric TV. Cole announced in 2008 that she had been diagnosed with hepatitis C, which is a liver disease that is spread through contact with infected blood. Cole attributed having the disease to her past intravenous drug use. Cole explained in 2009 that hepatitis C "stayed in my body for 25 years, and it could still happen to addicts who are fooling around with drugs, especially needles." Four months after starting treatment for hepatitis C, Cole experienced kidney failure and required dialysis three times a week for nine months. Following her appeal for a kidney on the Larry King Show, she was contacted by the organ procurement agency One Legacy, in May 2009. The facilitated donation came from a family requesting that, if there were a match, their donor's kidney be designated for Cole. Cole canceled several events in December 2015 due to illness. It was reported on January 1, 2016, that she had died the day prior at Cedars-Sinai Medical Center in Los Angeles. Her family stated that at the time of her death, Cole had "ongoing health issues". According to Cole's publicist, Maureen O'Connor, the singer's death was the result of congestive heart failure. Prior to this final stage in the singer's life, Cole's last musical performance was a short set of three songs in Manila. In official news on her cause of death, her family stated that Cole was diagnosed with idiopathic pulmonary arterial hypertension after her kidney transplant in 2009. Although Cole was clean and sober at the time of her death, her past intravenous drug use contributed to her demise. Cole's son, along with her sisters, offered the following comment. "Natalie fought a fierce, courageous battle, dying how she lived... with dignity, strength and honor. Our beloved mother and sister will be greatly missed and remain unforgettable in our hearts forever." Cole's funeral was held on January 11, 2016, at the West Angeles Church of God in Christ in Los Angeles. David Foster, Stevie Wonder, Smokey Robinson, Lionel Richie, Chaka Khan, Eddie Levert, Mary Wilson, Gladys Knight, Ledisi, Jesse Jackson, Angela Bassett, Denise Nicholas, Marla Gibbs, Jackée Harry and Freda Payne were among the mourners at the funeral. After the funeral, she was buried at Forest Lawn Memorial Park in Glendale, California. 2006 Grey's Anatomy Mrs. Booker Season 2 episode: "Band-Aid Covers the Bullet Hole"
2011 Real Housewives of New York City Herself Season 4 episode 16: "L.O.V.E." 2012 RuPaul's Drag Race Herself/Judge Season 4 episode: "Glamazons vs. Champions"
The Grammy Awards are awarded annually by the National Academy of Recording Arts and Sciences. Cole received nine awards from 21 nominations. The Latin Grammy Awards are awarded annually by the Latin Academy of Recording Arts & Sciences. ^ "The Charlotte Symphony with Natalie Cole". Ovens Auditorium. April 13, 2012. Archived from the original on April 16, 2012. Retrieved February 13, 2013. ^ "Nat King Cole Widow Coming To North Carolina". digtriad.com. June 4, 2008. Retrieved July 15, 2012. ^ "Natalie Cole | American singer". Encyclopedia Britannica. Retrieved June 25, 2018. ^ Merzbach, Scott. "Recalling Cole's Amherst days". amherstbulletin.com. Retrieved June 25, 2018. ^ Wynn, Ron. "Natalie Cole". AllMusic. Retrieved September 23, 2018. ^ "Robert Yancy Dead: Natalie Cole's Son Tragically Dies Of Heart Attack At 39". Hollywood Life. August 15, 2017. ^ "Natalie Cole, singer - obituary". 2016. ^ Yagoda, Maria (January 1, 2016). "From Addiction Battles to Chart-Topping Success: Natalie Cole's Bright Life in the Spotlight". people.com. Time, Inc. Retrieved November 22, 2017. After dating a boy named Jimmy, she began singing and rehearsing with his band – and also experimenting with drugs. ^ Fink, Mitchell; Rubin, Lauren (October 16, 2000). "Natalie Cole's secret drug peril". New York Daily News. New York City, NY: New York Daily News. Retrieved November 22, 2017. ^ O'Brien, Lucy (September 26, 2008). "The unforgettable Ms Cole". theguardian.com. Guardian News and Media Limited. Retrieved November 22, 2017. ...and her young son, Robert, nearly drowned in the family pool when she was on a drug binge. Cole hit rock bottom when she refused to leave a burning building because she needed to score. ^ a b Cohen, Sandy; Fekadu, Mesfin (January 2, 2016). "Heir to Jazz Legend with Grammys of Her Own Dies". The Detroit Free Press. p. 5A. ^ "Natalie Cole, Grammy winning singer, has died". Associated Press. January 1, 2016. Retrieved January 1, 2016. ^ "Natalie Cole, Grammy winning singer, has died". KABC. January 1, 2016. Archived from the original on January 3, 2016. Retrieved January 1, 2016. ^ "Natalie Cole, Grammy Winning Singer, Has Died". YAHOO! Music by YAHOO! News. Associated Press. January 1, 2016. Retrieved January 1, 2016. ^ "Natalie Cole 2015 Manila [DOLBY] - YouTube". YouTube. Retrieved November 10, 2017. ^ "Natalie Cole's death due to rare lung disease, heart failure". ^ "Autopsy: The Last Hours of Natalie Cole." Autopsy: The Last Hours of.... Nar. Eric Meyers. Exec. Prod. Ed Taylor and Michael Kelpie. Reelz, 27 May 2017. Television. ^ "Natalie Cole, R&B and jazz singer, dies aged 65". BBC News. BBC. January 1, 2016. Retrieved January 1, 2016. ^ "Natalie Cole Honored by Family, Friends at Private Memorial : People.com". PEOPLE.com. ^ "Natalie Cole Funeral: Stevie Wonder, Lionel Richie, Gladys Knight & More Mourn - Billboard". Billboard. ^ "Past Winners Search". Grammy.com. Retrieved February 13, 2013. ^ "Latin Grammys 2013: The complete list of winners and nominees". Los Angeles Times. Retrieved January 7, 2016. ^ "cog". Uclalumni.net. Retrieved May 5, 2017. ^ "Howie Richmond Hitmaker Award". The Songwriters Hall of Fame. Archived from the original on May 18, 2008. Retrieved June 14, 2015. ^ "2001 Image Award Winners". Awardsandwinners. Retrieved August 27, 2016. ^ Vaughn, Christopher. "1992 Image Awards". Chicago Tribune. Retrieved July 29, 2016. ^ "2003 Image Award Winners". Retrieved May 14, 2016. ^ "45th NAACP Image Award Winners | NAACP". Talk with Audrey interview with Natalie Cole 2012. Talking about her life, her music and her legacy. "Sophisticated Lady (She's a Different Lady)"
"I've Got Love on My Mind"
"Someone That I Used to Love"
"I Live for Your Love"
"That's All There Is to That"